Ok, it’s time for something I’m pretty proud of. If I ever release a cookbook, this recipe will be on the first page. 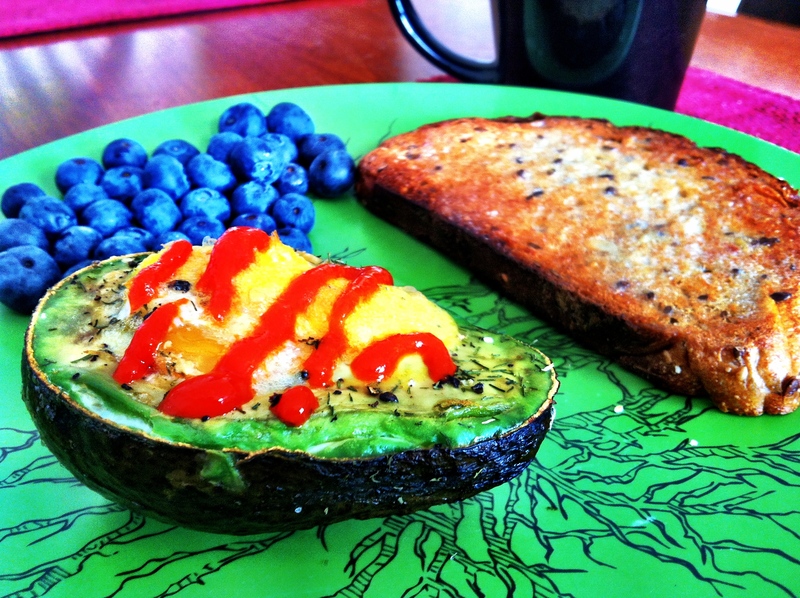 Behold the Baked Avocado and Egg! Fact: Sriracha sauce makes everything better. 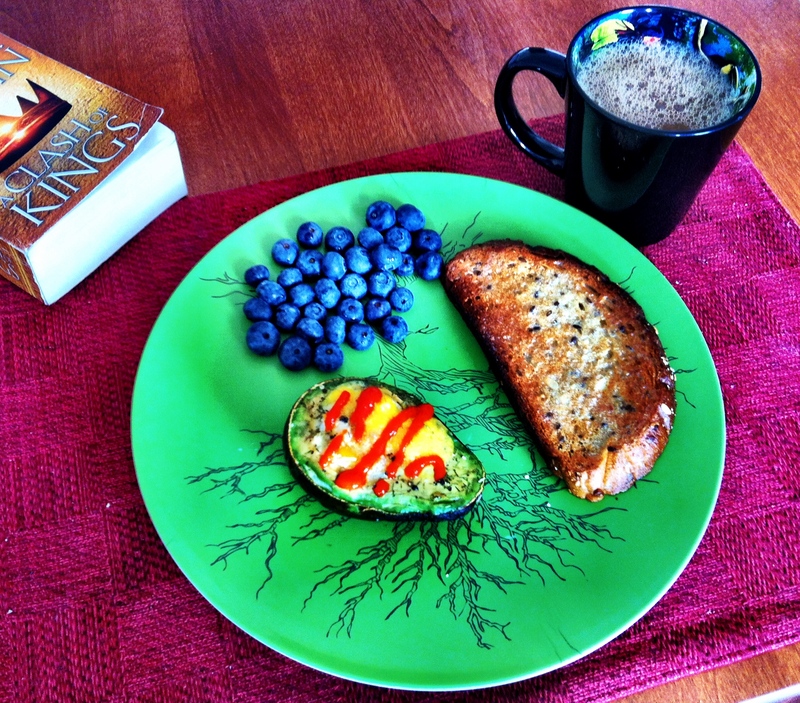 I don't know if the best part was the avocado or The Clash of Kings. I was so excited about this creation, if only because it opens up a whole new world of avocado consumption. Anyways, had to share the recipe as soon as possible, so here it goes! Heat oven to 425° F.
Cut each avocado in half, removing the pit and making sure that each half has a hole in which to place an egg. Sprinkle dill, salt, and pepper on each. Bake for 20-25 minutes. This will really depend on how you like your eggs. I don’t like runny yolk, so I baked mine for about 25 minutes, maybe a bit more. After you’ve removed them from the oven and let them cool a bit, squirt some sriracha sauce on those bad boys and go to town. 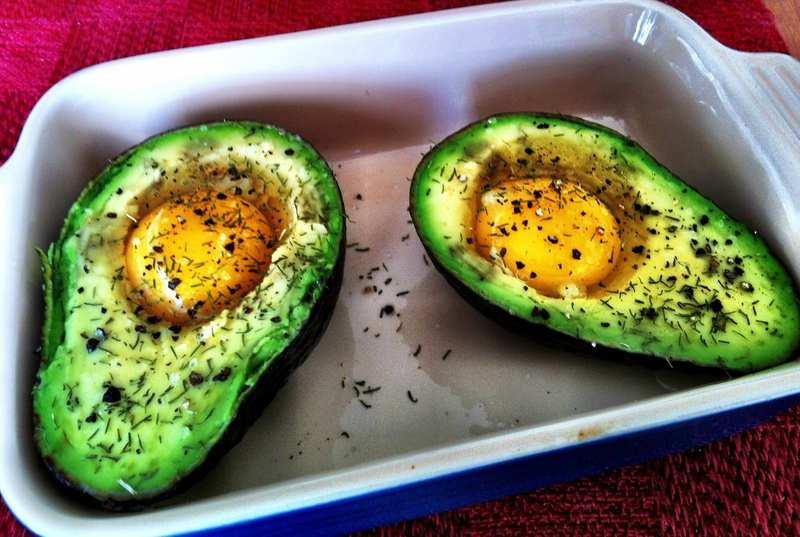 There are a couple of ways you can prepare the egg before you put it in the avocado. You can leave each egg whole and put them into the avocado halves with the yolk still intact (an especially good option if you like runny yolk), or you can mix up the eggs beforehand and pour it in (less messy option, will end up more like scrambled eggs). Don’t freak out about making a mess or getting the eggs perfect in the avocado. One suggestion would be to fill the avocados in a separate bowl to catch any egg spillage, and then put them in the baking dish. I also made a vegan option for my friend using a quick tofu scramble. Drain some tofu, mush it up with some diced onions/peppers/same seasonings (maybe some soy sauce? ), and bake it the same way.